So, today I took a visitor to Eye On Malaysia, EoM for short. 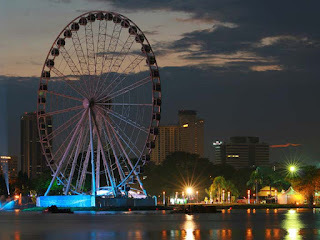 This is a ferris wheel build beside Tasik Titiwangsa and supposedly will give you a beautiful view of the city. 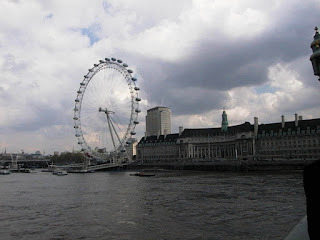 My expectation was that this would be something like London Eye, a similar concept by British Airways built along River Thames, to give visitor a view of London. 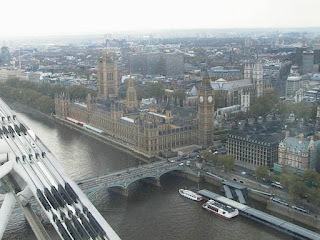 The view of London was breathtaking from the Eye, mostly due to the fact that the London Eye is a huge, huge structure. 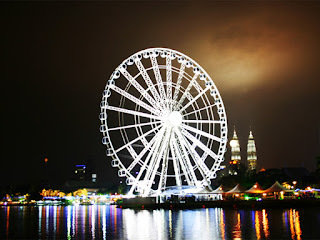 Eye on Malaysia, by comparison, was smaller and puny... really, it felt like going atop the fun fair ferris wheel. It's a good try, Malaysia, but it's embarassing nonetheless. 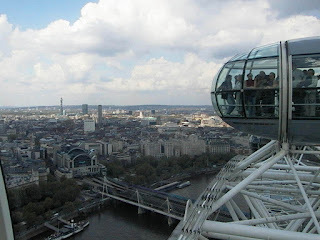 A "gondola" in London Eye can accomodate 20 - 30 people (see picture). You can walk around the gondola and take photos. A gondola in EoM can sit only 4 people. You can't move around! Notice how high above the city we were in London Eye.